Stroke patients have a very board range of clinical symptoms that can make diagnosis and treatment very challenging. Our work with perfusion imaging, a brain imaging technique that measures the blood flow in the brain, has shown promise in positively identifying a stroke and excluding mimics. This is very important because the treatment for stroke is a very potent drug that can have severe side-effects. With brain imaging, clinicians are able to specifically target patients who we know will benefit and exclude those who will likely be harmed. Currently there are very few treatment options for stroke survivors after they leave hospital. With stroke being the leading cause of adult disability in the developed world, there is an urgent need to develop therapies which are effective and improve an individuals’ quality of life. I really enjoy research because it is primarily about challenging or changing the status quo in medicine. There is just something very satisfying about optimising the treatment approaches for a major and often fatal disease. Dr Bivard received his PhD in July 2013 from the University of Newcastle, NSW and completed a two year post-doctoral fellowship at the Melbourne Brain Centre, University of Melbourne (January 2012- February 2014). In 2013, Dr Bivard was awarded the European Stroke Conference Young Investigator of the Year, and the Peter Bladin award at the 2014 Stroke Society of Australasia. 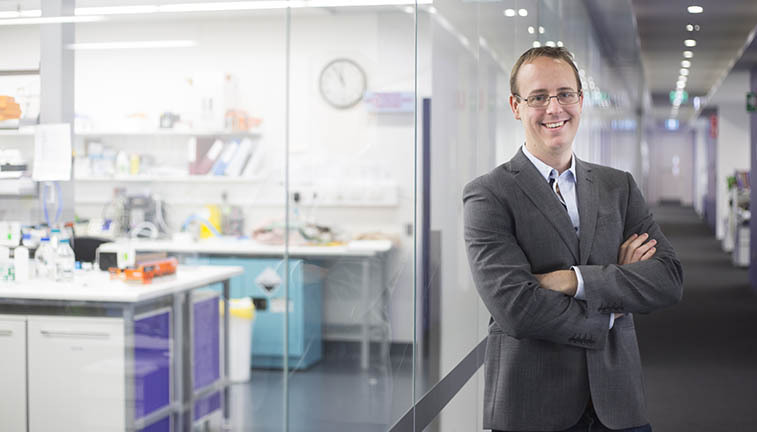 In 2015 Dr Bivard took up an NHMRC early career fellowship at HMRI. The majority of Dr Bivard's work in acute ischemic stroke imaging has focused on patient selection for reperfusion therapies, to maximise benefits and limit potential harm. Using perfusion based imaging techniques, Dr Bivard demonstrated that clinicians could measure the volume of the acute penumbra and infarct core on CTP and PWI. This work was adopted into the positive phase two clinical trial comparing ischemic stroke treatments rtPA and tenecteplase in a New England Journal of Medicine publication and will be used in the phase III trial of tenecteplase. This series of work has helped establish CT perfusion as a clinically reliable tool. This is evident in its use for patient selection in recent pivotal clinical trials of acute stroke therapy (rtPA vs TNK). Results from this work have already been translated directly into clinical care in 19 stroke centres around the world. Since commencing his PhD, he has given oral presentations at 18 international conferences, published 40 peer reviewed articles (16 as first author) and authored four book chapters. He is a CI on three NHMRC funded projects and received over $2.4 million in funding during his short career. Dr Bivard is also an external reviewer for NHMRC grants and supervisor for eight PhD candidates, displaying considerable leadership skills. A lot of my work up until now has focused on enhancing the care of patients with stroke when they arrive at hospital. I believe that the recent advances in this area have been truly groundbreaking and now it is time to focus on seeing if we can improve patient outcomes after acute treatments. Clinical imaging (CT perfusion, angiography, MRI perfusion and angiography).